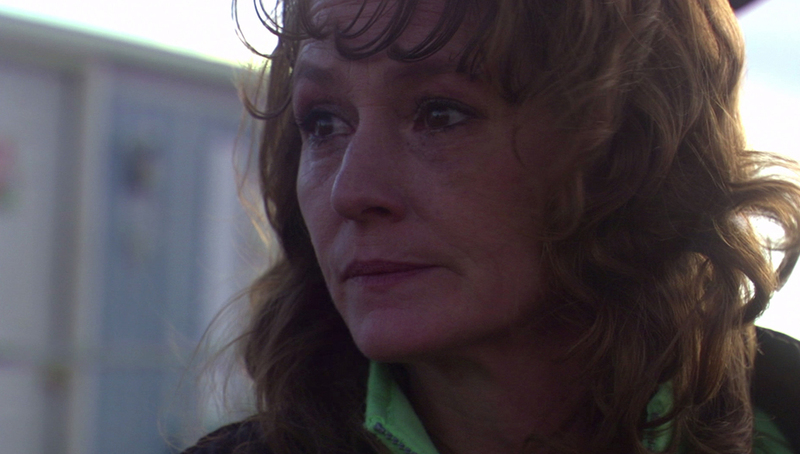 Few modern actresses play strong as consistently as Melissa Leo. And, sadly, words like “strong” “determined” and “independent” are words we can rarely apply to the bulk of an actress’ filmography. (This is because of crappy, male-driven writing, mind you. Not the talent of the actresses currently in the game.) Melissa Leo is the exception. She’s living proof that there is a demand for strong female characters. Characters who stand on their own, expressing their opinions and thoughts and fears as loudly as they damn well please. 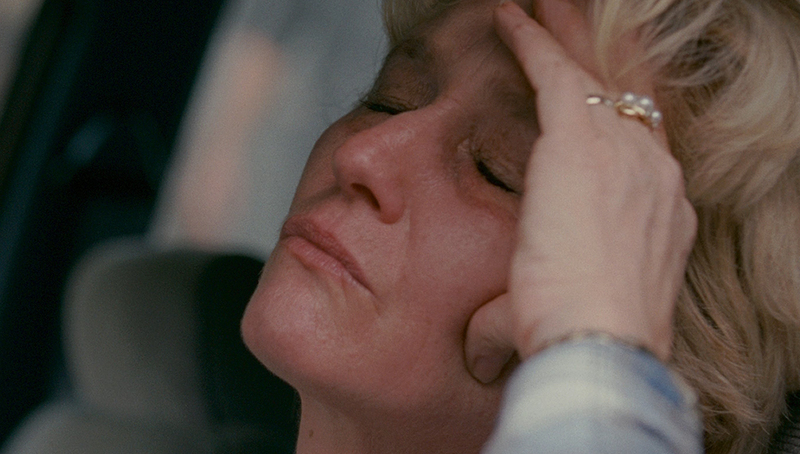 I adore Melissa Leo’s work, but I also love what she (purposefully or otherwise) represents as an actress. 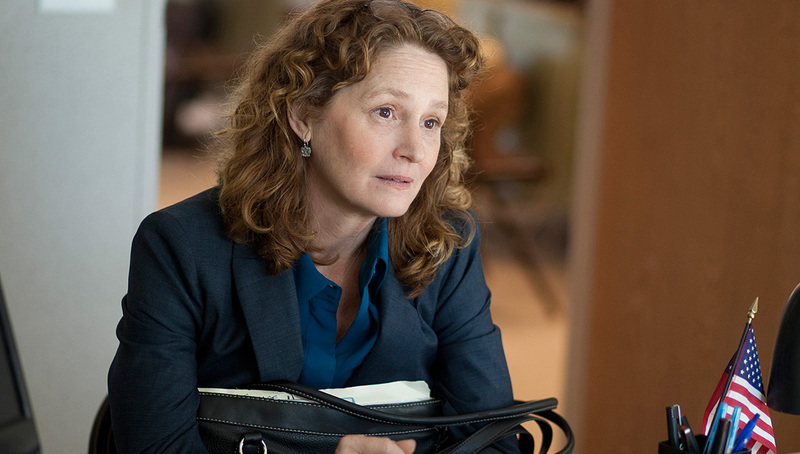 Melissa Leo had a tall order in Paul Attanasio’s brilliant and exacting network drama, Homicide. As the only female lead on the show (for the first two seasons, anyway), it was Leo’s job to inject sensitivity into the program. At least that’s how it looked on paper. In fact, what made Kay Howard such a memorable character was that Leo played her more or less the exact opposite of how we thought she would. Kay Howard wasn’t the sensitive one of the bunch, she was simply one of a guys. A no-nonsense detective who believed there was still some decency left in the world. It was a dream role, really. A big break that lasted five years; one that proved Leo as a serious contender. In Frozen River, Melissa Leo plays Ray, a discount store clerk whose gambling junkie husband has walked out on Ray and their kids. Ray has her sights on a double wide trailer for her family, so when she discovers a way to make quick cash by sneaking illegal immigrants into the country, she jumps at the opportunity. Leo was justly nominated for an Oscar for her work in the film, but looking back on it now (since Leo has become rather well known), I appreciate her performance even more. Ray is a damn tough role, mainly because she is so cold and unlikeable. But Ray’s attitude doesn’t deter Leo. Instead, she embraces her character’s weaknesses and delivers an unflinching and vulnerable performance. Simply put, Ray is damn near the best work Melissa Leo has ever delivered. Toni Bernette is a civil rights lawyer in New Orleans who is unyielding in her pursuit of police corruption that took place during and after Hurricane Katrina. As Treme evolved into a wonderful, though criminally ignored series, we got to see more of Toni. We watched her struggle to raise a rebellious daughter, put food on the table, and guard herself and her family from the police department that is supposed to protect her. I know I was maybe one of six people who actually watched Treme, but one of the many reasons I stuck with it was to watch Leo brave the storm and flesh Toni out. Alice Ward is the type of performance that demands attention. That voice! That hair! That attitude! It’s such showy, balls-out work; the type of role that reeks of Oscar bait. Thankfully, Leo plays Alice as a person instead of a caricature, making it a performance of substance over style. Whenever I revisit the film, I find myself most drawn to Alice’s quieter moments. Singing the Bee Gees with Christian Bale, meeting Charlene for the first time, attempting to celebrate Dicky’s release from prison – these are the moments Leo makes Alice real. And while she wouldn’t have been my choice for the Supporting Actress Oscar (Jacki Weaver gets my vote), it’s a well-earned win all the same. Cinematically, I’ve always been more drawn to pain than humor. Those real moments of hell and hardship. I thrive on the dark, and 21 Grams is one hell of a dark film. Sean Penn, Benicio Del Toro and Naomi Watts have the more substantive roles, but every single supporting player steps up as well. From Charlotte Gainsbourg (as Penn’s dedicated but lost wife), Clea DuVall (as Watts’ loyal friend) and Melissa Leo, as Del Toro’s strong-willed wife, Marianne. The best scene of Melissa Leo’s career is the moment Marianne Jordan finds out her husband’s life has been forever altered. Marianne is throwing a party for her husband, Jack, and after he arrives several minutes late, he sits in the driveway and waits in his truck. Marianne walks outside and Jack admits that he just ran over a man and two girls. 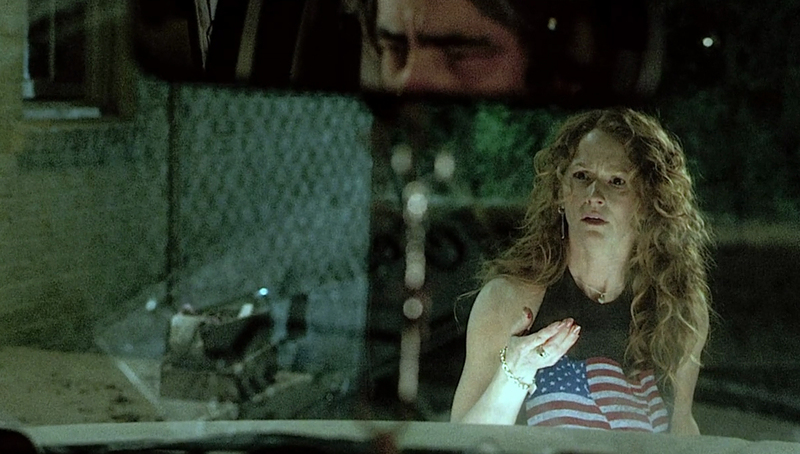 Now, watch Melissa Leo’s face here. Watch how she realizes that Jack’s life (and thereby hers as well) will never be the same. She walks to the front of the truck and her face reads horror. Hell, pain, anguish. It’s one of my favorite moments from one of my favorite films; just one of Leo’s many excellent contributions to the film. I feel like I should like her, but her acting style rubs me wrong. Fair enough. She does have a jarring style that I really dig, but I suppose isn't for everyone. Have you seen Frozen River or 21 Grams? she is incredible and one of her most stunning performances is in a film i wrote and directed THE SEA IS ALL I KNOW [which should be out on iTunes later this year]. not only an amazing actor but human being . That's SO COOL. Love hearing that she's a great person as well. Just watched the trailer for The Sea is All I Know. It looks like a very quiet and still film, but one of immense power, which are my favorite kinds of movies. And Peter Gerety is great, in everything. Will definitely keep my eye out for it. Thanks so much for stopping by and commenting! "I thrive on the dark." Ha ha! Apparently I am the same ... as long as it's in the fictional realm, of course. I agree that she was fantastic in 21 Grams -- I loved that movie. I haven't seen the others on this list yet. Oh, fictionally, of course. I've just always been more drawn to those dark and dreary places in films. So glad to hear you like 21 Grams. Thanks for the comment! So great. That's just a flawlessly acted film. I like some of her work though I was not a fan of her performance in The Fighter where I thought it was overrated and quite shill at times. I preferred her more in Mildred Pierce and Flight as they were more low-key. 21 Grams I think is her best work still. I really loved her in Mildred Pierce as well. In fact, that was a damn fine miniseries. Deserved a lot more attention. Really had you agree that 21 Grams has Leo's best work. My favorite Melissa Leo (so far) film is a little known feature with David Strathairn called Racing Daylight. She plays an awkward woman so obsessed with her Civil War ancestry that she starts to believe she's one of her relatives. Oh wow, I haven't even heard of that, and I love both of those actors. Thanks so much for the recommendation! 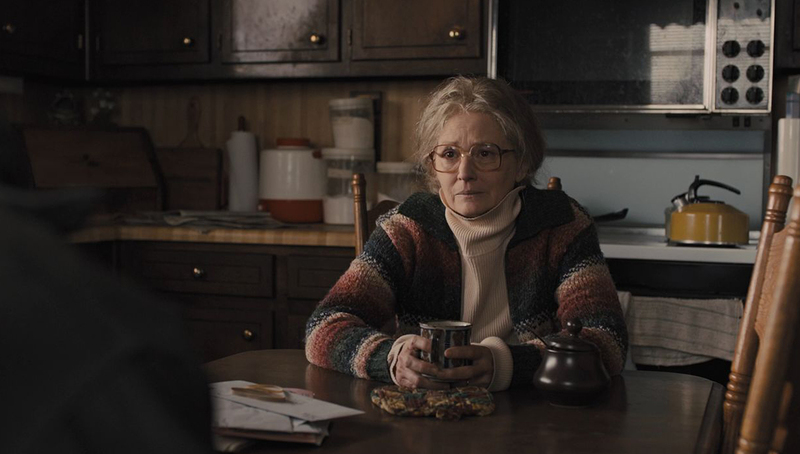 Melissa Leo has an incredibly jarring style of acting that I know must rub people in the wrong way (the amount of hate for her performance in The Fighter) and a lot of people dislike her as a person (must have something to do with her Oscar campaign and her eventual win), but I really enjoy it and I really like her. I think her best performance was in Louie, followed closely by 21 Grams and Frozen River. I haven't seen Homicide, I'll check it out! So glad you're a fan of her work! I definitely think Leo's strong personality and choice of roles makes her a jarring presence, and that's fair enough. I guess that's why I harped on her strength so much in my intro. But anyway, she was So. Good. in Louie, wasn't she? Melissa Leo is always Kay Howard to me, and that's still my favorite performance. She brought such heart and made her believable as the one female cop among the boys. It's too bad that Leo couldn't finish the show, and her presence was missed in the last two seasons. In movies, I've had a mixed reaction to her work. She was great in Frozen River and 21 Grams, but I sometimes feel like she's over playing some parts. I still need to see The Fighter, so I can't comment on that one. Treme has been on my list for a long time. I know how much you love Homicide, so it's great to hear that you also love Leo in the show as well. I agree, she was missed in the later seasons. Given what you said about her film work, I'm not sure you'll like her performance in The Fighter, but I think you'll enjoy what she does in Treme. Just a guess though. Not only did I love that episode of Louie, but I love how much of a pleasant surprise Leo was. She was humorous, fun and exciting to watch, especially working against Louie. A guy who, despite casting some pretty strange actors in his show, works perfectly with each and everyone of them. Her especially. As always, amazing list, my man. Thanks buddy! It is pretty amazing how Louie always manages to get excellent performances out of his actors - names and unknowns alike. From Melissa Leo to Sarah Baker (aka the "Fat Girl"), everyone is incredible. The Best Of The Best: "The Fighter"
Haven't seen her work in "Homicide: Life on the Stree" and "Francine", but I've heard amazing things for both. Cool man, always love to see when we agree on stuff. LOVE that you rank 21 Grams so high here, that's just great. And I agree, few women play white trash as well as Leo. The Fighter, Frozen River, and even Prisoners and 21 Grams (both, though, to a certain degree) are all great white trash work. Oh yeah, man, her work in "21 Grams" is just haunting. Her performance as Marianne Jordan is simply superb. And that scene you describe so beautifully above, I mean, that's just acting of the highest order, no doubt about that. It's just that I feel her work as Alice Ward goes even beyond what we call a great performance (and Leo's performance in Iñárritu's film is one hell of a great performance). She disappears in her role so completely that there's no sign of Leo anywhere. I was reading Wendell Ottley's great comment below and I was thinking exactly the same, it's as if she became Alice Ward for David O. Russell's film. She's at the top of her game there. She really embodies this self-absorbed, manipulative and almost criminally delusional mother and gives her all. I'm really curious, by the way, what do you think of her work in "Francine"? Most people who've seen it tell me they didn't like it at all, but Leo is again terrific. You know, I actually haven't seen Francine, but if you recommend it, then that's more than enough to motivate me to watch it. Plus, it's only 74 minutes, so what's not to love? Again, love your praise for Leo, she's so damn great. Well, as I've written above, I actually haven't seen "Francine", but I've heard great things about her work there, not so much for the film though. I may give it a watch as well. I thought that when you make an "In Character" post for an actor, you watch every film he/she has been in. It's too much of a work for sure, but it gives you a whole other sense of their talent. I've seen the whole filmography of many favorite actors, such as Daniel Day-Lewis, Marion Cotillard, Philip Seymour Hoffman, Cate Blanchett, Amy Adams, Joseph Gordon-Levitt, Jennifer Lawrence and a few more and man, I think it's amazing before making a post like those terrific "In Character" posts of your blog. Again, it's too much work, but it's damn worth it. I mean I've seen Amy Adams in trash like "Cruel Intentions 2" and "Serving Sara", for Christ's sake! But yeah, I love it! When someone aks me "What's your opinion on Amy Adams as an actress? ", I feel I really do have an opnion to share. Anyway, your posts are always great and this is certainly no exception. And Melissa Leo, my God, she's a real force of nature. You know, when I started this column, I was obsessive about seeing the actor's entire body of work. But then I realized that, if I wanted to keep the column going on a regular basis, that it would be literally impossible to view entire filmographies. There isn't enough time in the day to see every Gary Cole performance (145 credits), every Bruce Dern (146 credits), every Philip Baker Hall (166 credits) every Udo Kier (213 credits! ),m and, you get it. Noting that, I do research every actor I cover very carefully, and if there is a huge performance(s) by them that I've missed, then I track it down before writing the post. Much of what makes In Character so fun are the movie recommendations I sometimes get from readers. It has been a great way to discover even more great roles from actors I already loved! Oh, yeah man, you're definitely right about that. It's impossible indeed to keep the column going on a regular basis and at the same time watching entire filmographies all the time. It's exhausting as well, trust me. I must have done it for 10 actors / actresses altogether in my entire life and it ends up a little bit too much sometimes after a certain point. That's why there are numerous cases that I've decided to watch an actor's filmography (Jack Nicholson, Isabelle Huppert, Charlize Theron, for example, all of them actors I absolutely LOVE) and unfortunately I couldn't help but quit that. It's so great that you get in touch with a variety of performances delivered by extremely gifted actors, like Melissa Leo and present your view on their work with such insight. Your whole column and blog are simply one of a kind, buddy. Keep it going - can't wait for your next "In Character". P.S. : Don't forget my wish to make an "In Character" post for the unique Cate Blanchett at some point, haha!!! CATE! I'll get to her soon, I promise. That's another actress who I believe I've seen every role. She's just so good. That'll be hard to narrow down her best work. Oh God, man!!! It's going to be hard for sure, but I'm sure you'll be up to the challenge for sure as well. Can't wait for this "In Character" and just any other "In Character" post of yours!!! Love this list, great choices I wouldn't change to much. 21 Grams is in my mind by far her best, no argument there. I've never seen Treme so I cannot logically talk about that at all. But my favorite part of the list is the inclusion in the other notable roles the movie Hide and Seek. in Hide and Seek I love the performances, although i'll admit, it's not the best movie. It was the first movie I saw Melissa Leo in (from what I can remember) and at first didn't notice her, but I saw it not to long ago and really noticed her. She delivers such a really good performance. Hide and Seek would probably end up on my list if I was to make one for Melissa Leo. Anyway great list, such a great actress, love her and the list. I actually kind of dig that movie as well. I agree, not very good, but some of the performances are really solid. Dakota Fanning was so damn strong as a kid. And Dylan Baker does some fine work in it too. But really, Leo gives the best overall performance in my opinion. Glad you like her in it! Very nice list. Leo is an actress whom I had seen, but didn't really become aware of until after I became a movie buff, started blogging, and noticed her name kept popping up in the stuff I was reviewing. I've become a fan because of this. My absolute favorite portrayal of hers is in "The Fighter." She plays that role with so much conviction you start to think she might actually be Mickey Ward's mom. Thanks man. Love what you said about her work in The Fighter. That movie had a few people in it who actually played themselves, and you're right, at times it's easy to wonder if that really is Alice Ward. Great call there. Glad you highlighted her with this splendid post, she is just so amazingly talented. Thanks man, I really appreciate it. Always happy to find other Leo fans. Ooh, nice to see her performance in 21 Grams at #1. I might put it just behind her work in Frozen River, but it's such a small margin. Same here. It was a tough call between those two. Definitely Leo at her darkest.